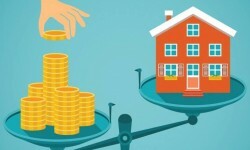 In a bold move the Securities and Exchange Board of India (Sebi) recently relaxed existing norms to make Real Estate Investment Trusts (REITs) and Infrastructure Investment Trusts (InvITs) attractive options for raising capital. This has been done following extensive public consultations. New provisions, including those related to the use of funds raised by these trusts, have been introduced. 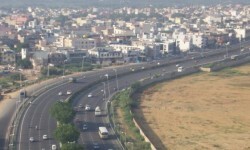 The Haryana Urban Development Authority (HUDA) is likely to file an FIR naming more than 300 people in connection with the multiple plot allotment scam and plans to sequestrate their plots. On the orders of the Punjab and Haryana High Court, it came to light that many people took multiple plots from the authority after furnishing false information. American investor KKR&Co plans to pump in about $200 million to support real estate developers in Mumbai, Bengaluru and the National Capital Region. KKR has pledged $75 million support to Lodha Developers, $45 million to Runwal Group in Mumbai, and $60 million to Bengaluru's Karle Group, among others. In a bid to decongest the state capital, the Himachal Pradesh Housing and Urban Development Authority (HIMUDA) recently gave its nod to a Singapore company for developing a 32-hectare smart integrated township on the outskirts of Shimla. An MoU will soon be signed with Singapore Cooperation Enterprises for developing a township at Jathiadevi near Jubbarhatti airport.